Time Out is so excited for National Bookshop Day! 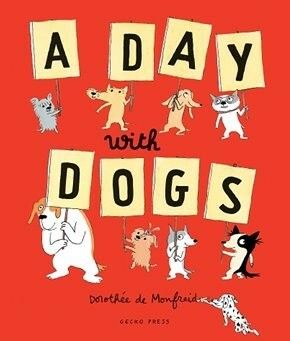 To celebrate they're hosting A Day with Dogs, in honour of Dorothée de Monfried's new book of the same name! Bring the family and your four-legged friends for a doggy portrait and a Gecko Press activity pack. All pups will be featured on the @dogsattimeout Instagram. 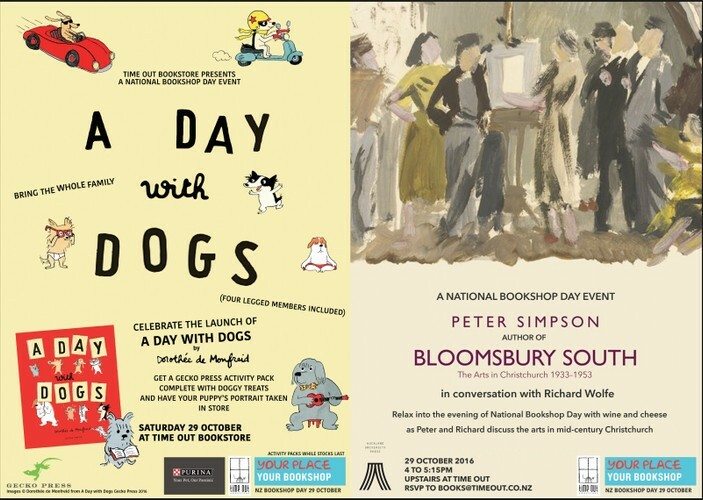 At 4pm, Time Out are hosting a conversation with Peter Simpson, author of Bloomsbury South and Richard Wolfe (curator and author.) This will be a wine & cheese chat about NZ art and is supported by Auckland University Press.